Jason Statham is back and he's fighting a giant prehistoric shark in The Meg, a new action-thriller from director Jon Turteltaub ("National Treasure"). In the film, Statham plays a rescue diver assigned with saving scientists stuck at the bottom of the Marianas Trench, but who inadvertently release a Megalodon into the ocean, where it wreaks havoc. Bingbing Li ("Transformers: Age of Extinction"), Rainn Wilson ("Star Trek: Discovery"), Ruby Rose ("Orange is the New Black"), Page Kennedy ("Rush Hour") and Cliff Curtis ("The Dark Horse") co-star. 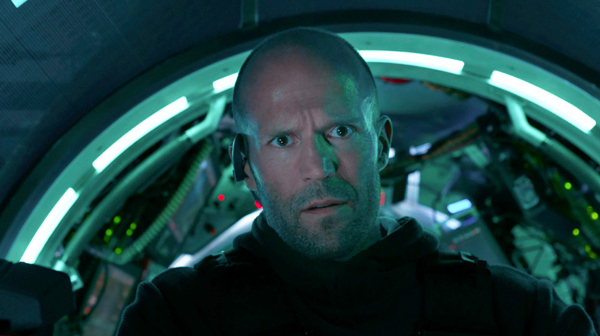 In his review at IGN, William Bibbiani praises "The Meg" for its modest charms, calling it "a fun giant killer shark movie, and a solid Jason Statham action romp," but criticizes the film for its pacing, arguing that "the film is nearly two hours long and a heck of a lot of that time is spent not watching a giant shark bite things."